Customer will need to make a down payment of Rs 2,899 for the 4G smartphone and make 36 continuous monthly recharges of Rs 169, Airtel said. Bharti Airtel on Wednesday announced its partnership with handset maker Karbonn Mobiles to offer a 4G smartphone at an effective price of Rs 1,399. Offering the 4G smartphone device at "the price of a feature phone", telecom company Airtel said the Android-based device will come with a "full touch screen experience, dual SIM slots and access to all popular apps like YouTube, WhatsApp, and Facebook". In a press release dated October 11, Airtel said this is the first of several partnerships that it plans to have with mobile handset manufacturers "to bring highly affordable bundled 4G smartphone options to the market and fulfill the digital aspirations of millions of Indians". Airtel said that the 4G smartphone - called Karbonn A40 Indian, at an effective price of Rs 1,399, will come bundled with a monthly recharge pack of Rs 169. The Rs 169 recharge pack, which offers data and calling benefits, is optional. "Limited stocks available. Rush to your nearest Karbonn retail store," Airtel said on its website - airtel.in. "As the market leader and pioneer of 4G services in India, Airtel's aspiration is to digitally empower every Indian with high speed data access. We are delighted to partner with Karbonn to remove barriers to smartphone adoption and enable millions of Indians to leapfrog to a full touchscreen smartphone experience," said Raj Pudipeddi, director-consumer business and CMO, Bharti Airtel. A customer will need to make a down payment of Rs 2,899 for the 4G smartphone and make 36 continuous monthly recharges of Rs 169, Airtel said. The customer will get a cash refund of Rs 500 after 18 months and another Rs 1,000 after 36 months - taking the total cash benefit to Rs 1,500. The current market price of Karbonn A40 Indian is Rs 3,499 approximately, Airtel said. The Karbonn A40 Indian has a full touch screen plus dual SIM slots, and offers complete access to all apps on Google Play Store, including YouTube, Facebook and WhatsApp, the press release added. "We plan to partner with multiple manufacturers to bring affordable smartphone options to the market and build an 'open ecosystem' of low cost devices. This is yet another step in our ongoing journey to deeply understand customers and bring innovation that delights them," Mr Pudipeddi added. A customer not opting for the Rs 169 bundled plan will have the flexibility of recharging the phone with a coupon of any denomination and validity as per individual requirements. "However, to claim the cash refund benefit, recharges worth Rs 3,000 must be done within the first 18 months (to claim the first refund instalment of Rs 500) and another Rs 3,000 over the next 18 months (to claim the second refund instalment of Rs 1000), Airtel added. "The ownership of the smartphone is completely with the customer and there is no need to return the device to Airtel/Karbonn at any point to claim the cash benefit," Airtel said. Airtel said its partnership with Karbonn was part its 'Mera Pehla 4G Smartphone' initiative, aimed at enabling every Indian to buy a 4G smartphone and get on to the digital superhighway. 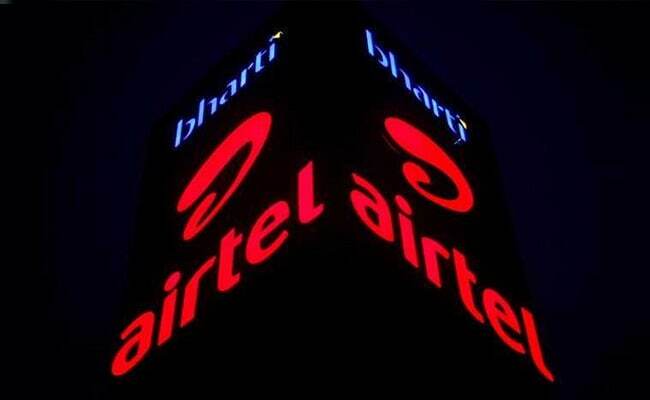 Under the 'Mera Pehla 4G Smartphone' initiative, Airtel will partner with multiple mobile handset manufacturers to create an 'open ecosystem' of affordable 4G smartphones and bring them to market for virtually the price of a feature phone, Airtel added in its press release. Airtel offers 4G/3G/2G services across all 22 telecom circles of India.